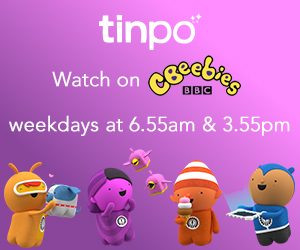 Usually, Thursday afternoons are filled with playing The naughty hyena in the Lion Guard and trying to be on time for the school run. 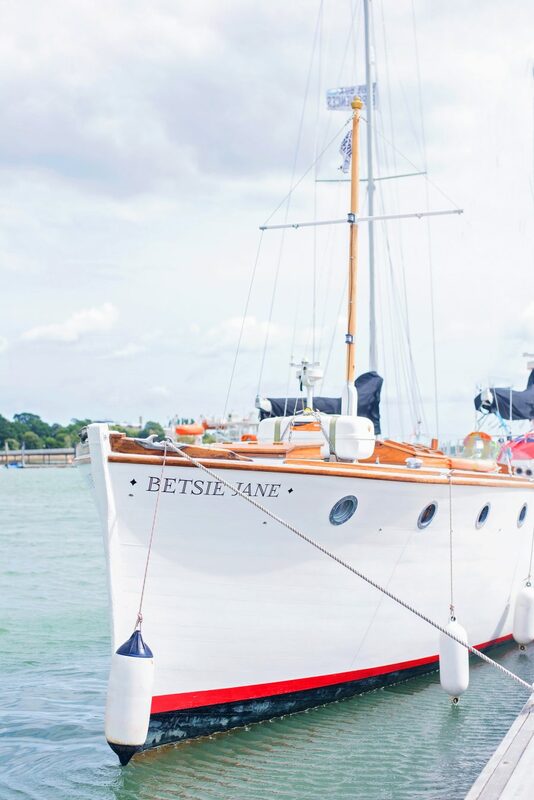 Last Thursday however, was quite different as I was invited to sail onboard Blue Box Experiences‘ breathtakingly beautiful Betsie Jane for a Gin Tasting Cruise with Red Letter Days along the River Hamble. 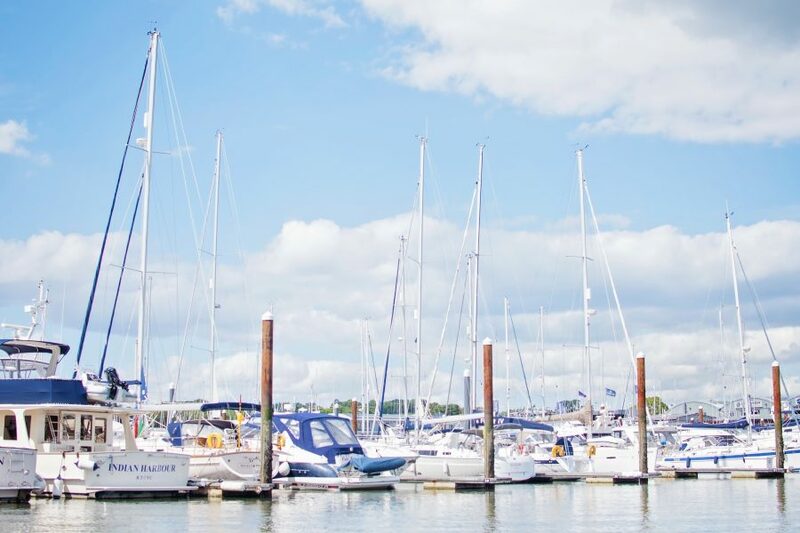 Shamefully and despite living here in Hampshire for 17 years, I had no idea where the River Hamble was – and had to rely on my iPhone’s Maps app to get me there, which it did thankfully. 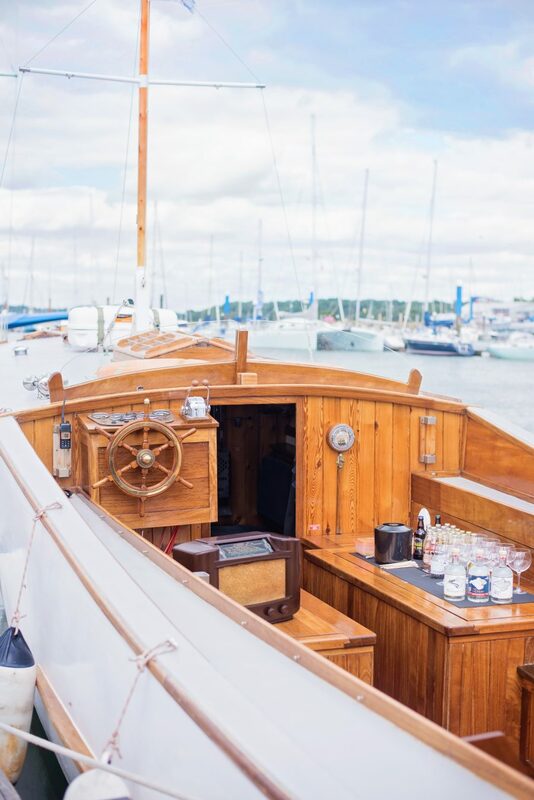 After one glass, I swiftly came to the conclusion that gin tasting, drinking, and making people are absolutely the best kind of people to be around – and they are even better when they’re on a beautiful, nostalgic sailboat that puts every other boat in the harbour in the shade. 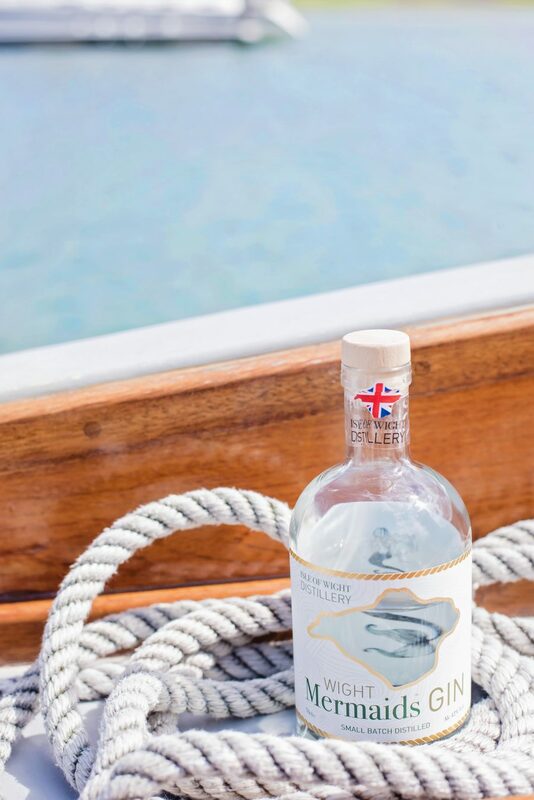 I also started to wonder if this was the life I was born to live – on the open water, wind breezing through my hair, Mermaid gin in hand. Haha. It was the most blissful afternoon I’ve had in quite some time, so indulgent and so carefree – so un-mom-like. 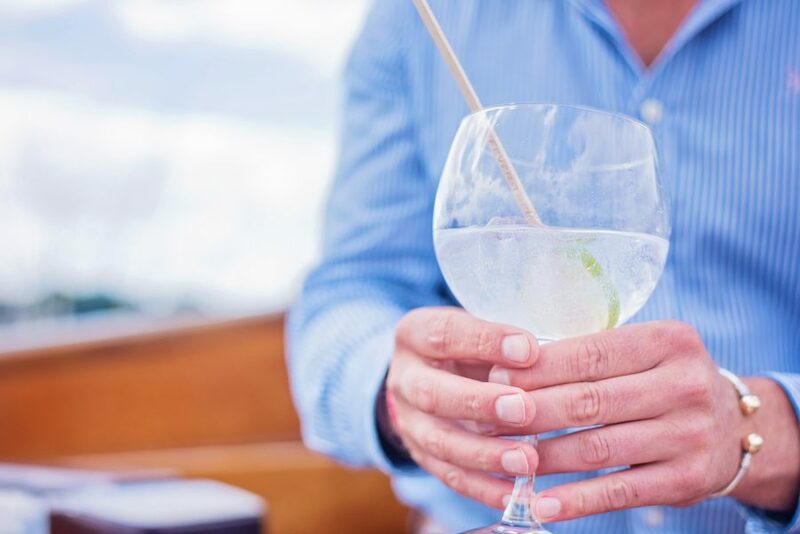 Besides tasting two types of gin from Xavier of the Isle of Wight Distillery [which I’m sad we missed when we were over there last week, but we’ll be back!] 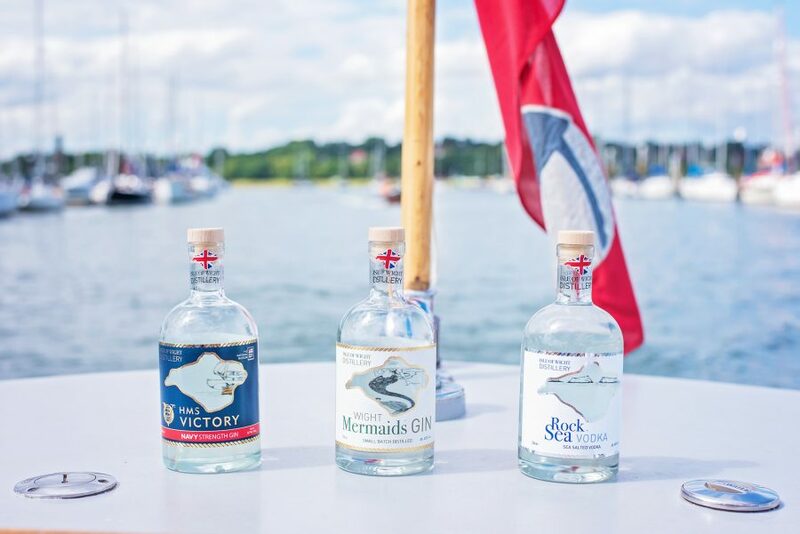 – Mermaid Gin, and Navy Strength Gin – I feel quite a gin expert now as we were talked through the botanicals of Mermaid Gin, smelling and tasting various new flavours and learning just what makes a gin, gin. 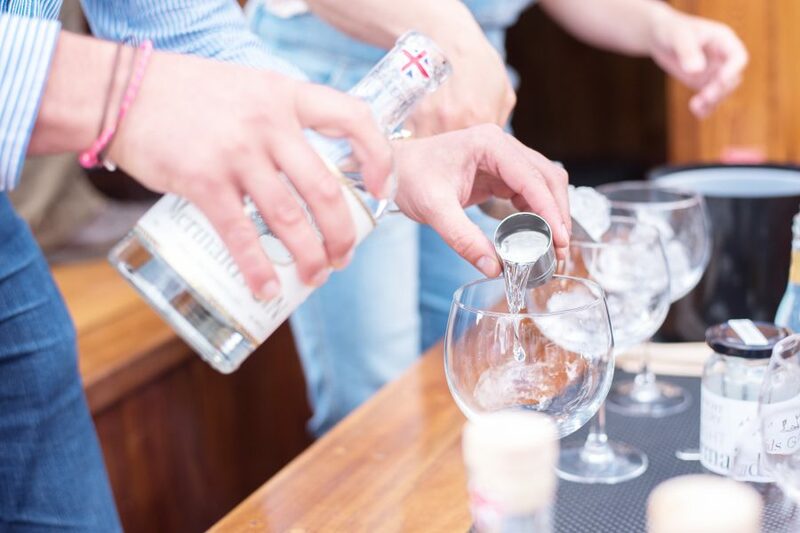 The story behind Xavier’s gins is extraordinary. They are weaving a story through history that had me genuinely hooked. 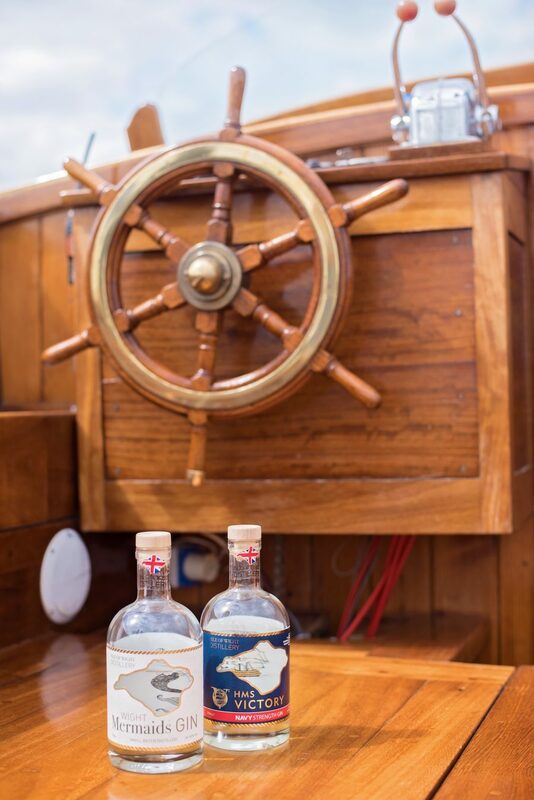 I learned about the many botanicals in gin [I had no idea], the story behind “Navy Strength” gin which impressed my boys greatly, and I was more than a little excited when I learned just how special their connection to the Historic Dockyards in Portsmouth and HMS Victory really is. I LOVE a story, especially one that gives me goosebumps because it’s such a heartfelt one, about people following their dreams. 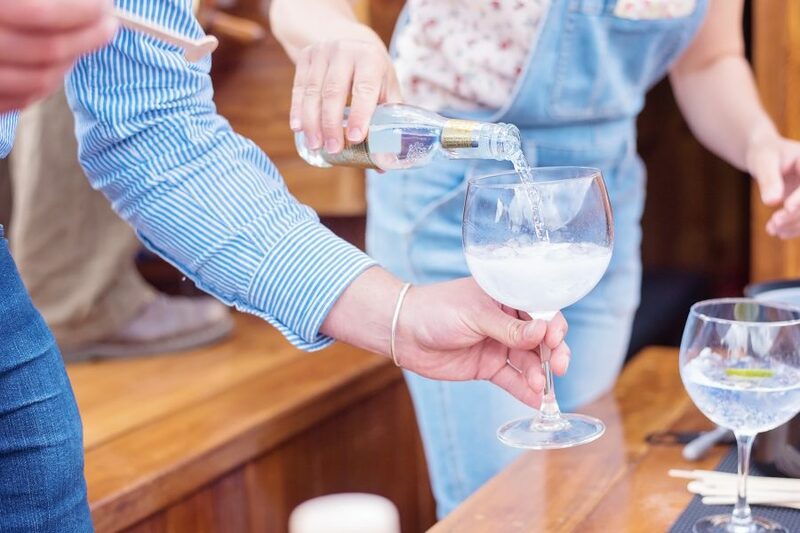 When Xav told us about the three week window for the gathering of rock samphire for the creation of their gin, I’d enjoyed enough Mermaid Gin delights to nearly be on my feet clapping with joy. 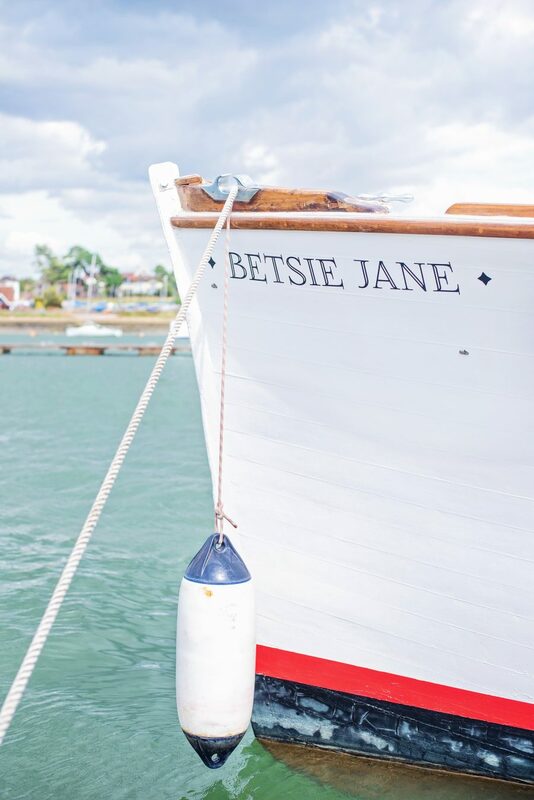 It’s a story that you want to somehow feel part of – and being from Hampshire [as I now consider my family to be], it just makes it so much more personal and special. I’ve tasted a more than a few gins in my life since falling off my birthday party stage following the ridiculous consumption of far too many gin and oranges when I turned 18 – but now that I actually take the time to enjoy them [my favourite previously being raspberry Tom Collins cocktails at BBQ time in the backyard], I’m delighted to have found a gin that I don’t want to add my jewelled raspberries to on a Sunday: Mermaid Gin will be enjoyed with sparkling spring water in our home…next weekend! Apologies to my brother in law, who was really quite green when I told him I was sailing with Mermaid Gin and sent me a snapshot of a miniature he keeps on his desk at work. Sorry! haha [not sorry] Maybe next time, huh? 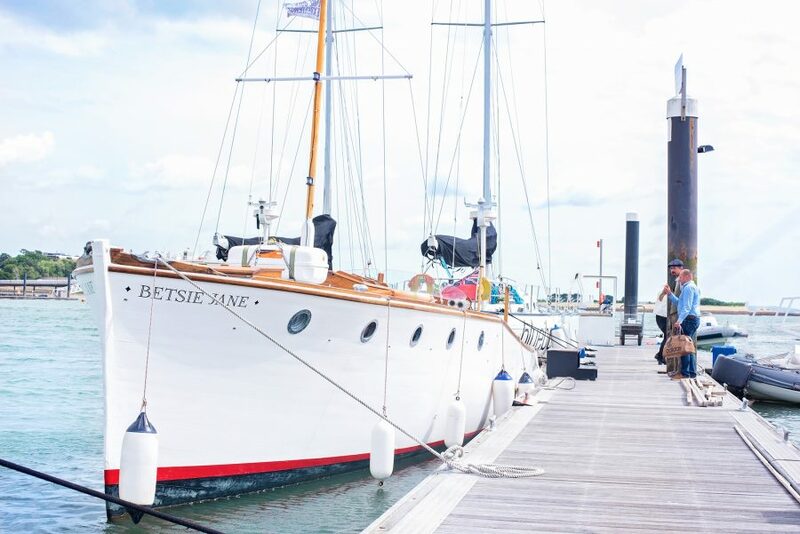 Thank you Red Letter Days for your lovely invite – I’ve not been asked to post about my cruise, but how could I not? It was amazing. 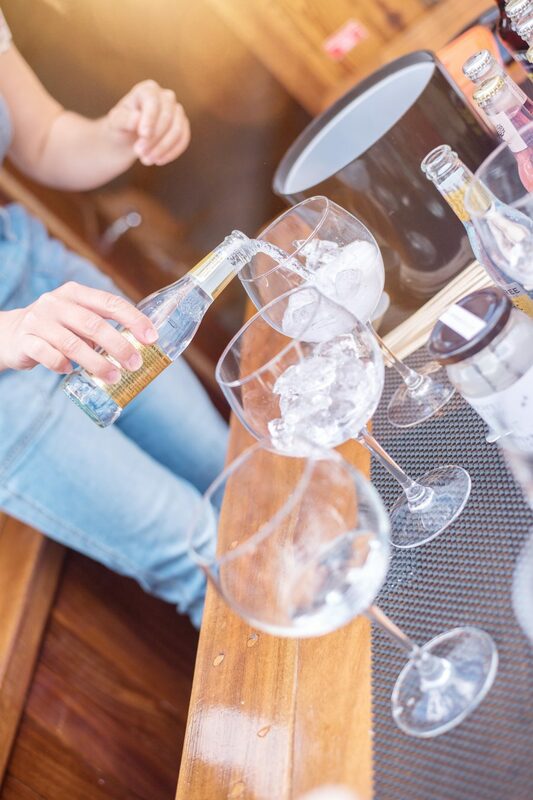 You can see our YouTube Video of our Gin Tasting Cruise here.